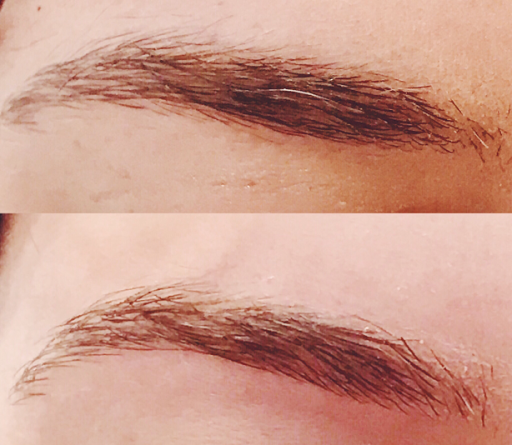 There's a new brow bar in Belfast and they are set to take the town by storm. 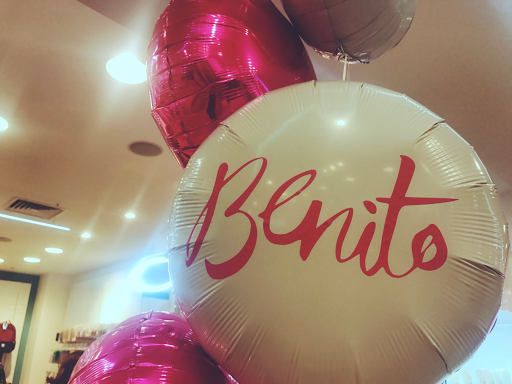 Located on the ground floor of Topshop Victoria Square, in the accessories and make-up section, Benito Brow Bar promises to offer quick, professional service to Belfast's fashionistas. 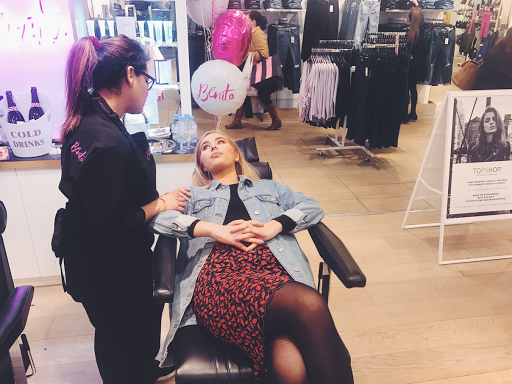 You may think it's a bit strange to have a brow bar in a clothes shop but Topshop's London branches have hosted nail and hair bars such as WAH Nails and BLEACH London. These brands have gone on to become huge successes across the UK's high streets with books and their own product lines on sale. 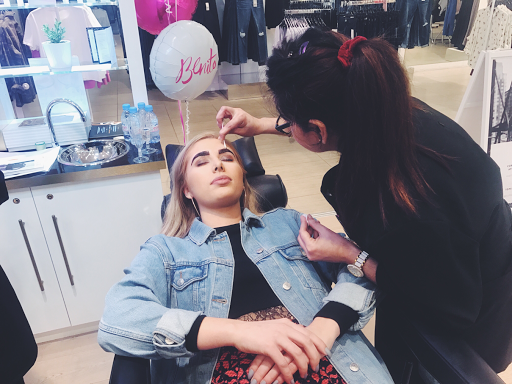 Beauty and Fashion go hand in hand according to Topshop and brows are just the latest trend they are setting. 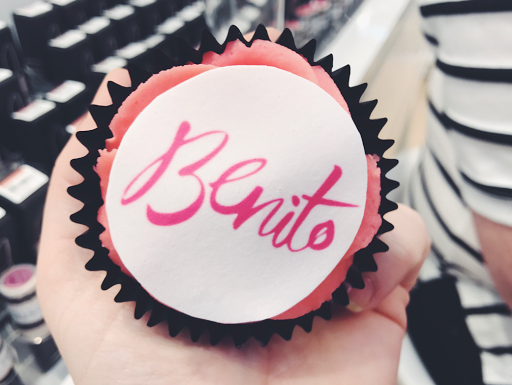 I was lucky enough to spend an evening with the girls at Benito Belfast and along with a few other bloggers, received a demo of the Benito process and a cheeky cupcake. 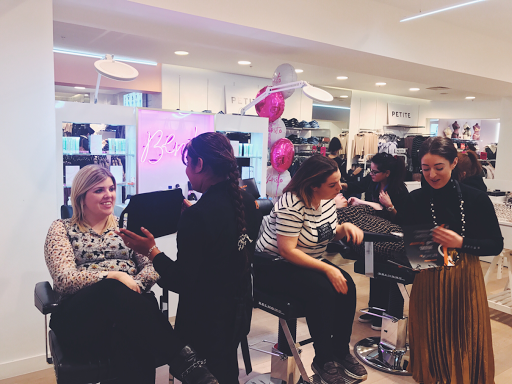 We were then all treated to a consultation and our own treatments. I went for just a simple threading as I'm already dark and I'm not fussed on the strong brown trend. I am, however, very particular about my shape; Nice, clean, and a simple arch is the way forward for me! Step 2: Consultation - we discuss preferences in shape and what the client wants. Obviously if you are opting out of a tint you will skip stages 3 & 4. Step 6: THREAD! 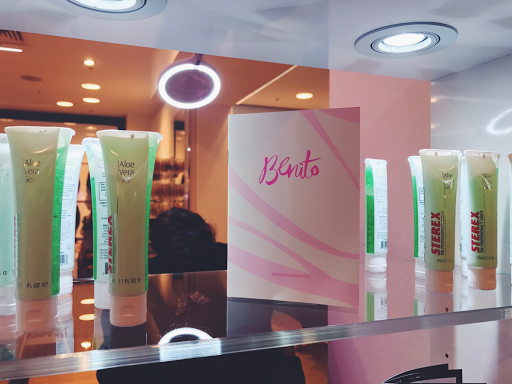 - the client is asked to keep the skin taught with their own hands whilst the therapist weaves their thready magic. 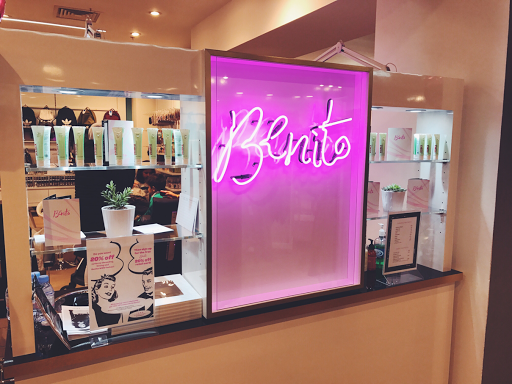 Step 7: Benito take pride that they are the only salon to offer an essential oil face, arm and hand massage complimentary with every treatment. Trust me you won't want to skip this stage. 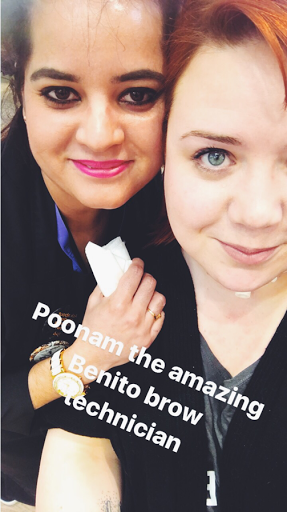 My therapist was Poonam and she is an absolute babe! 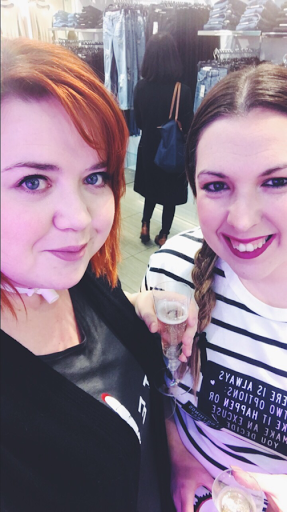 We had such a laugh as I tried not to cry my makeup off (threading stings if you're not used to it but it gets easier with time). 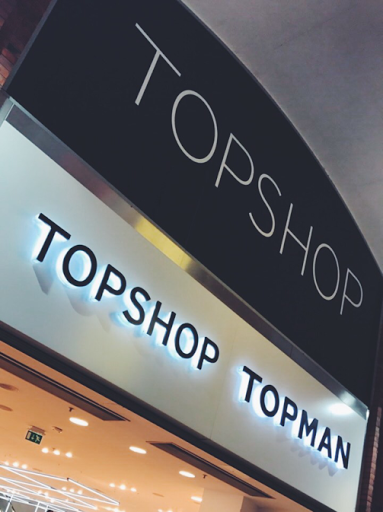 I would highly recommend popping in to Topshop if you're looking for a quick pamper and perfect brows. I am definitely a satisfied customer. Before and After. Such a difference!